PEFC scheme. (Programme for Endorsement of Forest Certification). certification of organic growing of ornamental flowers (our private standard). In cooperation with foreign partners, Institut KON-CERT Maribor also offers inspection of private standards GLOBAL – GAP and GMO-frei agriculture. 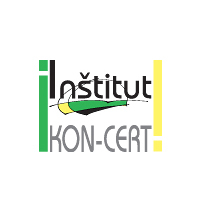 In 2015 Institut KON-CERT Maribor is celebrating 17 years of inspection and certification and 8 years of maintenace of accreditation certificate. During these years we awarded more than 60.000 certificates. The Institute has 16 permanent employees and many external staff. Institute KON – CERT Maribor has other departments and is also active in publishing, education, research, international projects, promotion, organization of fairs and conferences / seminars. Certification contributes to strengthening public confidence in agricultural products, food and non-food products appearing on the market which are labeled with multiple labels, indications and trademarks. Only certified products from the quality schemes could be separated from those which are misleading marked.